Aaaah… Inzora Rooftop Cafe. My little piece of Kigali cafe bliss. A beautiful view, great drinks, nice staff, and excellent baked goods. This is the place I come when I want to relax, confident that what I order will be delicious every time, the staff will be attentive, the music will be good, and I’ll walk away a happy customer. If I have to pick a single word to describe this place, I’d have to choose ‘innovative’. Inzora seems to pride itself on offering things that you can’t find anywhere else around town. You won’t find brochettes or pizza on the menu and they’re not content with sticking with the status quo. They’re innovating with everything – the food and drinks, the way the tea is served… even the straws! They’ve chosen to try to run their business in the most sustainable way possible and this means reusable metal straws and cloth napkins which isn’t something I’ve seen in many places in the world, let along in Kigali. It’s a nice touch added to what is already a pretty unique place. Plus they’re the only place in town where you can get a gluten free brownie (if that’s your thing – Rwf 1,000) and their soda water with natural fruit-flavoured syrups (Rwf 1,600) are delicious and something you can’t find anywhere else. 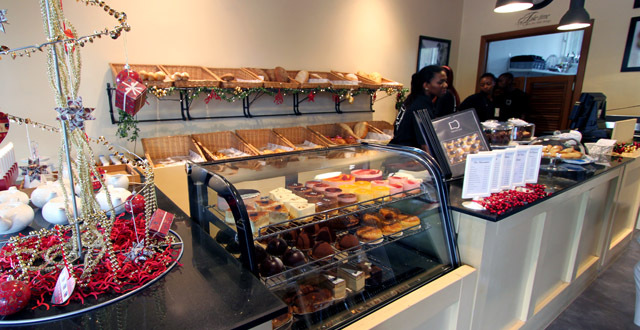 Inzora has the best cookies and hot chocolate (Rwf 2,000 – try the peppermint version) in town and they’re what I have almost every time I visit. They change up their cookie offerings from time to time but you can usually find chocolate ginger and white chocolate and macadamia nut. More unusual flavours like Speculoos with tree tomato filling have been known to make appearances too. I like that they change things up a bit and you’ll often find something new (and interesting) to try. One of the reasons I like this place so much is the consistency. I know what to expect every time I come in here and I attribute this to the owners not wanting to be all things to all people. She wants to offer excellent food, drinks, and service and has made the decision to move along slowly… first perfecting each menu item and making sure her staff are consistently up to the task before moving onto the next stage. This means that Inzora don’t yet offer lunch on their menu, but it means that, when it does come, we can all expect that it will be a well thought out offering and something we can rely on being delicious each time we order it. I’m looking forward to this day because, while the cookies are wonderful… I really should stop having them as my lunch each time I visit. The environment here is super relaxed and friendly with lots of airy seating, one of the best views in the city, and even an outdoor, shaded, rooftop patio. Katie, one of the owners, is great about visiting your table and explaining new offerings while, at the same time, creating a very welcoming atmosphere. Unlike in other restaurants and cafes around town, she’s patient with her staff and they don’t seem on edge when she’s around. It’s these little things that not only set the cafe apart in terms of atmosphere, but also make you happy to give this business your hard-earned francs. My only complaint? Yet another Canadian-run cafe and I still don’t have Nanaimo bars and butter tarts! What will it take to get these glorious little treats to Kigali? If the Canadians won’t come through for me, who will, I ask you? However despite this major flaw, the Inzora Rooftop Cafe is fast becoming my favourite place to stop off whenever I find myself running errands around town and once they introduce their lunch I can see myself hanging out here a lot more often. Thanks for the review, completely agree! The atmosphere is great. The baked goods are great. The coffee is great. The service is great. where exactly is this ? Near KBC, behind Cafe Neo/think (you can actually go out their back gate and its right in front of you). 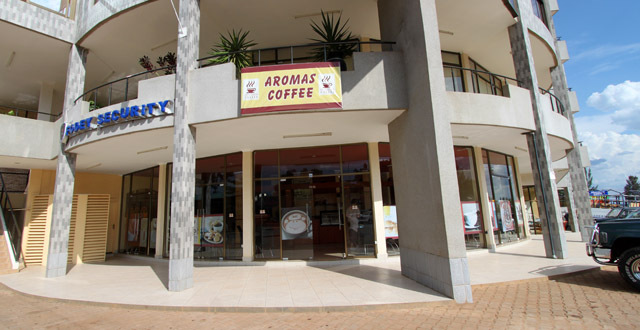 The best hot chocolate in kigali! I looove this place. I like how quiet it is, I can stay there and read for hours. Their hot chocolate is fantastic, and their cookies delicious. The day Inzora gets 4G internet is the day I will move out of my house and camp there. Hi! Your website has been so helpful on my solo trip to Rwanda this week. Sitting at the rooftop cafe enjoying some gluten free brownies as we speak! Very glad to hear it! It’s one of my favourite spots in Kigali and I love those brownies!